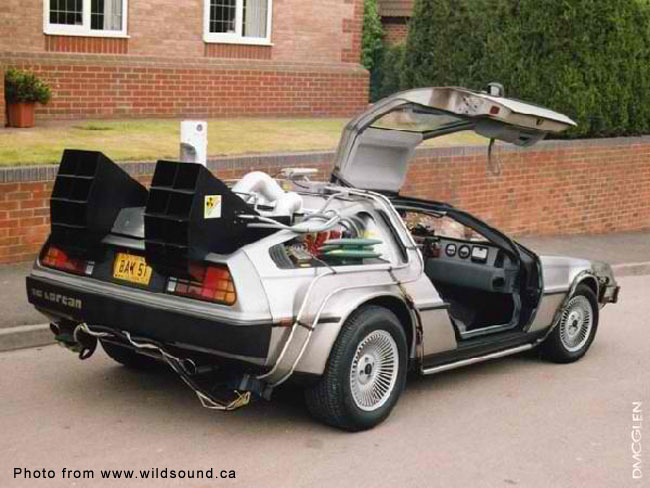 What Christopher Lao would give to do a Marty McFly and ride Dr. Emmet Brown’s time machine back in time. 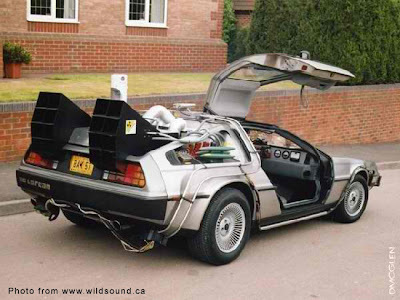 Not all the way to 1955 as Marty did in the first Back to the Future Movie. In fact, only as far back as Tuesday, the 2nd of August. Or, more specifically, to just before he made the catastrophic mistake of driving his car into that flood somewhere in Quezon City. 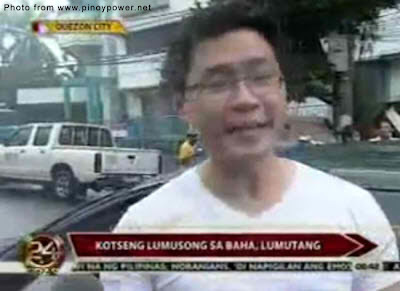 As luck – or the absence of it – would shape the subsequent turn of events, not only were the floodwaters deep enough to float his car as though it was made of balsam; there also happened to be a GMA news crew in the vicinity. Poor Christopher Lao was caught on camera seeking help from a couple of kids trying to push the vehicle to where it did not have to look like it was an amphibious emergency rescue vehicle. Rescue vehicle it was not; the car, I mean – seeing as we all did that it was the one that actually had to be rescued. 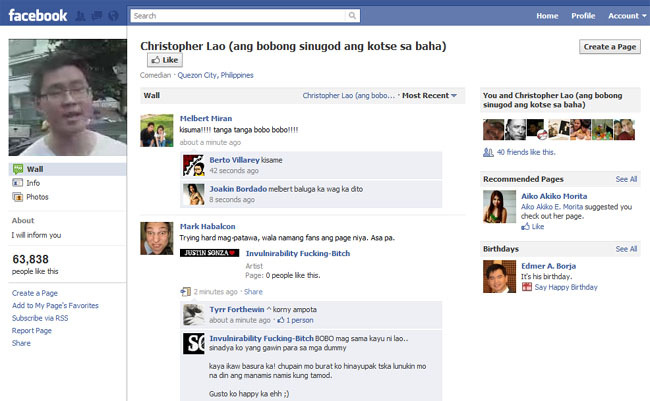 Because we Filipinos so love the overboard, there were also those who set up Facebook hate pages. I actually took a peek at one of these and the comments on the page’s wall were of the sort that would earn the label Definitely Not for General Patronage. Lao so captured the public’s imagination that his name was among the top topic trends world wide on Twitter. Of course, most of the comments were not very flattering at all. A day after airing the video clip on its news programs – and aware of the barrage of hateful comments against Lao – GMA saw fit to release a statement that discouraged the public from making further derogatory statements against Lao, who the network described as a victim. As with the withdrawal of the video from its web site, the statement is the metaphorical equivalent of trying to salvage one’s personal belongings from a house already completely burned down to ashes. The damage had already been well and truly done. From the point of view of freedom of expression, yes the media had every right to cover the misfortune of the hapless Lao. As pointed out in one of the news releases, the object of the video clip was to show to the public the adverse effects of excessive rainfall and the danger the ensuing floods could pose to motorists and the general public. This line of reasoning is incontestable. While I could insinuate that the news crew could, perhaps, have helped Lao to push his car to safety instead of continuing to film the sorry incident, that is really their bread-and-butter and others have brought before our eyes God knows thousand-fold worse disasters. What I have some issues with is the line of questioning by the on-the-spot reporter which brought out the by now (in)famous “I should have been informed!” I caught the news report on television and thought the reporter was almost accusative in his questioning, just stopping short of telling Lao that he should have known better. There are some motoring experts who have gone public in defence of Lao by saying that there was no way just by looking at the waters how deep it was; and indeed, this was what Lao said to the reporter. In fact, Lao’s predicament was not new at all. This sort of thing happens all the time all over the world because drivers cross their fingers and drive on into floodwaters hoping nothing untoward would happen. The public’s reaction – and here I am theorizing – was probably brought on by Lao’s argumentative and – some may say – even arrogant tone when he spoke with the reporter. If Lao sounded the way he did, though, I would not hesitate pointing the finger at the reporter who was asking what sounded to me like all the wrong questions. I mean, the poor man was just in an unfortunate incident; or has being sympathetic gone out of fashion already? Personally, I would have been edified more had the reporter interviewed the two boys who helped Lao push his car along the flooded street. I do not think I can make a living from another person’s misfortune. 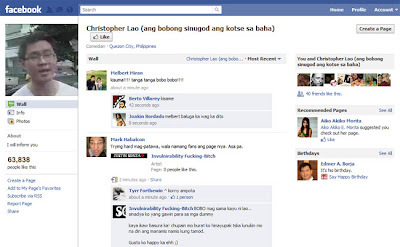 For those who do not have a clue, Christopher Lao is a UP College of Law graduate. That explains Hitler’s hysterics in that doctored video which, in fact, has so many versions already on YouTube alone. I have to admit, though, this version is hilarious. That does not mean, though, that I do not feel sorry for Lao. We all get ourselves into unfortunate situations every now and again; and God knows the last thing I would like to see when I get into one is a television news crew. Unless they are prepared to help rather than continue filming the obvious distress… ------------------------------------------------------------------------------------------- If you enjoyed this article, please click the Like button or share it freely on social media. It helps to pay this site's domain name and maintenance costs.